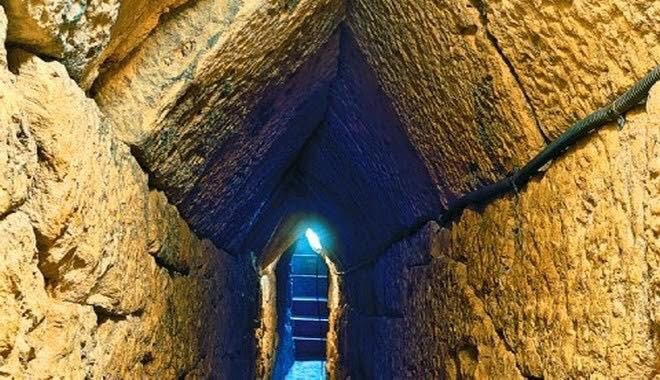 The Tunnel of Eupalinos or Eupalinian aqueduct is a tunnel of 1,036 m (3,399 ft) length in Samos, Greece, built in the 6th century BC to serve as an aqueduct. 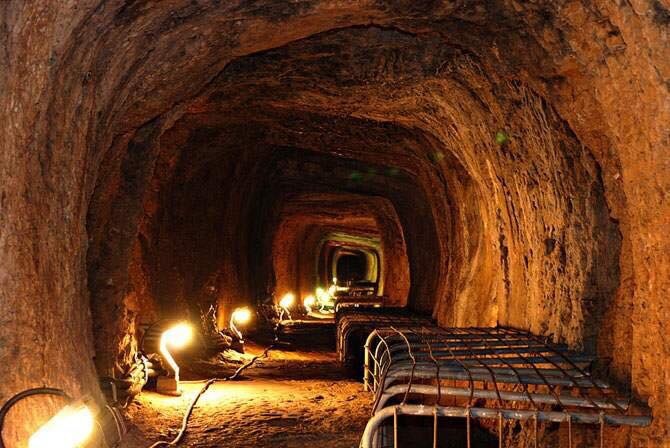 The tunnel is the second known tunnel in history which was excavated from both ends (Ancient Greek: αμφίστομον, amphistomon, “having two openings”), and the first with a geometry-based approach in doing so. In the sixth century BC, Samos was ruled by the famous tyrant Polycrates. 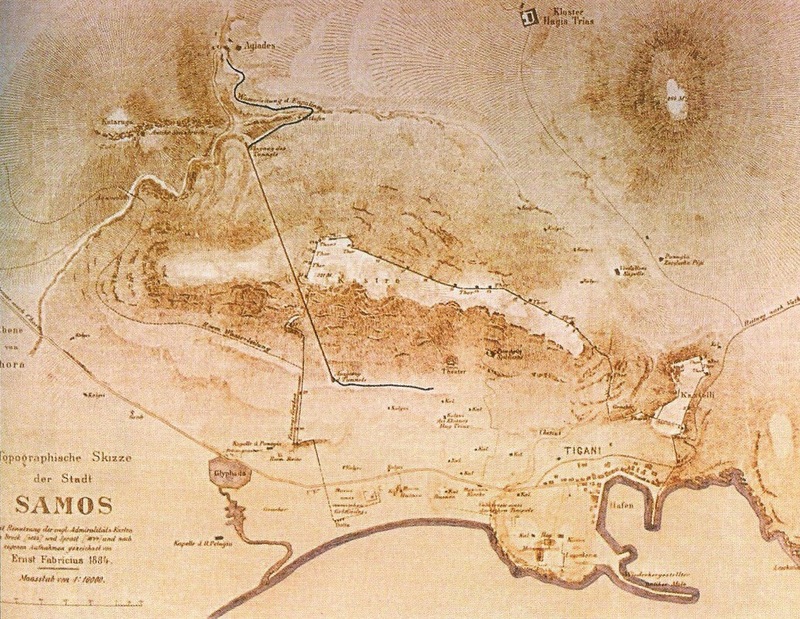 During his reign, two groups working under the direction of the engineer Eupalinos from Megara dug a tunnel through Mount Kastro to build an aqueduct to supply the ancient capital of Samos (today called Pythagoreion) with fresh water. This was of utmost defensive importance, as the aqueduct ran underground it was not easily found by an enemy who could otherwise cut off the water supply. The Eupalinian aqueduct was used for a thousand years, as proved from archaeological findings. It was rediscovered in 1882-1884 and today is open to visitors. The two headings meet at a dogs-leg, a technique which was used to avoid the two tunnels missing each other, as explained in the paragraph “Surveying techniques”.